Time for the thick, quilted jackets that you cannot help but love, and these ones are by Trespass. This is a previously reviewed brand by us, where we took a look at some of their best softshell jackets for sports. The brand was established in 1938 in Glasgow, Scotland, at first providing uniforms and clothing for companies. The brand itself, at first was a branch of Jacobs & Turner Ltd., then in 1984 they created a brand dedicated to outdoor clothing and called it Trespass. Despite being one of the most well-known brands of their time, they didn’t just stop at what were already best sellers by their company, but instead began developing new trademarked fabrics, including Tres-tex, Coldheat, AirTrap, etc. 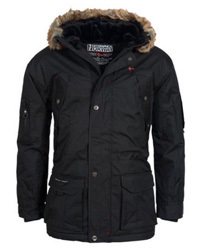 They manufacture high quality and waterproof jackets and are also renown for their winter boots and especially skiwear. In this selection will be included jackets not just for men and women, but kids as well, so if you are looking for quality and warmth during this winter season, for the entire family, look no further. * Note: The availability of the jackets (including colors and sizes) might change in time. 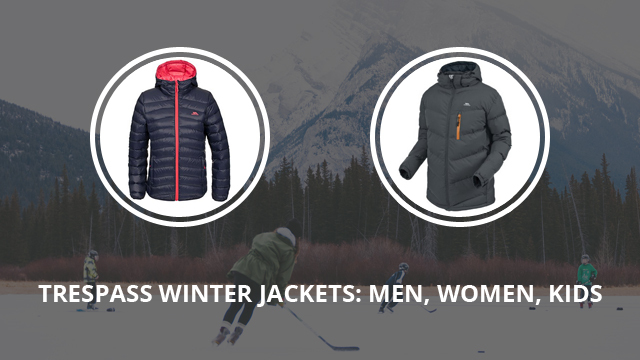 Starting with the men’s jackets, first up is the Blustery padded jacket. 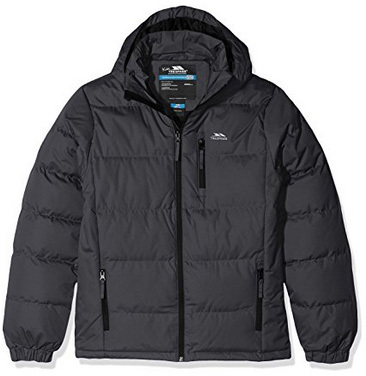 This is a down-style jacket, with polyester filling and the brand’s trademark technology Coldheat, which fully insulates it and helps maintain warmth for long hours. The insulation is also helped by the elastic cuffs, that fit comfortably around the wrists, the high, stand-up collar and the drawcord at the hem. This is a waterproof jacket and highly breathable, making it easy to wear while being active outdoors. There are two side pockets and one vertical chest pocket, all three with water-repellent zippers. The main zipper is also water-repellent and comes in a sort of hidden design, covered by fabric on both sides, with chin guard at the collar. Being a padded jacket, it is, of course, quilted and the design in this one is slightly diagonal. The hood is lined on the inside, has adjusting drawstrings and can be removed if not needed. As for the color selection, there are three options: Citron, Electric blue and Ash. The Clip padded jacket from Trespass is another quilted jacket that comes with polyester filling which makes it look thick, but it is quite lightweight, nonetheless. This is a weatherproof jacket, which comes with a detachable hood that adjusts with drawstrings to the front. The collar is high and there is chin guard where the main zipper ends, to prevent chaffing. The main zipper is low profile, water-repellent and is placed in the center. There are three outer pockets placed two on the sides and one on the left side of the chest. The quilting is wide and horizontal, extending on the sleeves as well. 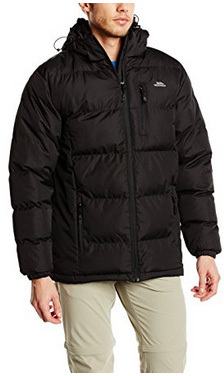 This jacket is highly insulated and has elastic cuffs. There are two colors available: Flint and Black. Igloo is a half and half down jacket. The outer shell is 100% Nylon, whereas the inner lining is soft, polyester fleece. The filling is half down and half feathers, which provide plenty of warmth and comfort. The hood is detachable and attaches to the high, stand-up collar, which has chin guard, too. The quilting is wide and horizontal and the main zipper is water-repellent. There are two side pockets and one diagonal chest pocket, all with water-repellent zippers. The cuffs are softly lined on the inside and have Velcro fasteners for adjustment. There are drawstrings in the hood and bottom hem, for full insulation and proper adjustment. There are four colors available: Black, Cobalt, Signal red and Lime. San Fran is the first jacket in the women’s selection and it makes a great outdoors jacket, because it is not only designed for warmth and comfort, but also functionality. It is waterproof, with 5000mm water column and highly breathable. 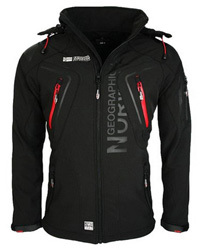 This jacket comes with Tres-shield technology fabric and is also padded. It has a removable hood, lined with faux fur trim, which is removable, too. The cuffs are adjustable by Velcro fasteners and the main zipper is water-repellent, covered by a placket and with chin guard on collar, which is high. 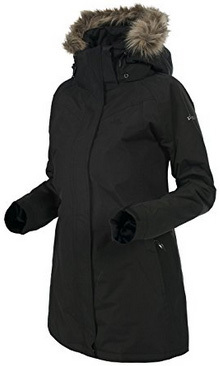 This is a long jacket, fully insulated and with taped seams. There are two side pockets with enough space for storing belongings or warming up your hands quickly. It comes in the color Black and Grape wine. This next jacket is called Purdey and it comes with the classic diamond quilting. 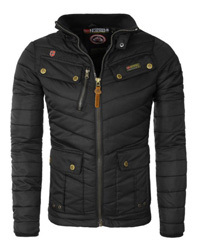 It is a padded jacket, with Coldheat technology, which fully insulates the it. There is an adjustable and removable hood, lined with detachable faux fur trim, that protects the face in windy days. The main zipper is covered, goes all the way up to the collar, where there is the chin guard. The cuffs are elastic and around the waist there are buckle straps, for adjustment and detail. As for pockets, there are four outer ones, two on the sides and two on the chest. It comes in the colors: Black, Mushroom and Shiraz. 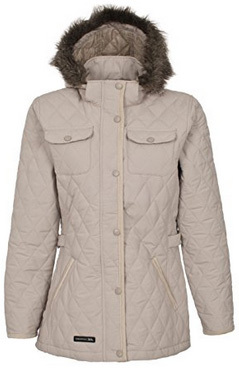 Next is Adored, a thickly padded jacket, with 80% Down and 20% Feathers padding. The outer shell is Nylon, which makes it water-repellent. 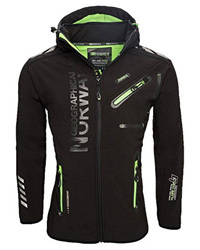 The main zipper is low profile, in contrasting colors. 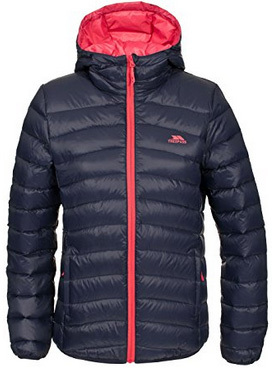 This is a horizontally quilted jacket, which comes with two side pockets with water-repellent zippers. Another feature is the way it packs into a pouch, making it easy to pack in your bag when travelling, without taking too much space, as jackets usually do. The cuffs are elastic and the collar is hooded. It comes in three colors: Ink, Khaki and Coral blush. Now it’s the kids’ turn and first up is the Tuff boys jacket. 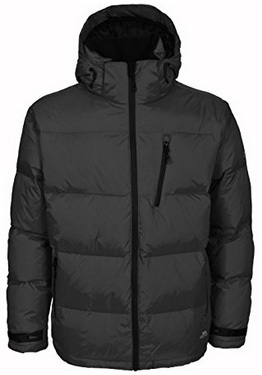 This is a padded jacket, made of 100% Polyester, including the padding, while the inside is warm fleece. There is a removable hood attached to the high collar and it can be adjusted with drawstrings. The cuffs are elastic, two lock the cold air out and further insulate the jacket. There are two zipper pockets on the sides and one on the chest. 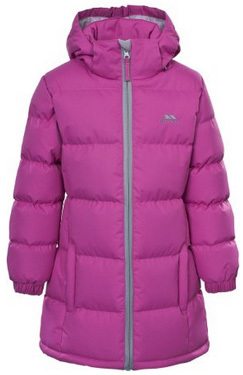 This jacket is easy to move around in, which is especially important in kids’ clothing. It comes in several colors: Navy, Black, Grey, Red, Ultramarine and Flint, including other variations of these colors. We are at the last item of this selection and we have chosen to end it in style, with Tiffy, a long and beautiful jacket for girls. It comes with the Coldheat technology and it is fully insulated, aided by the adjustable hem and elastic cuffs. 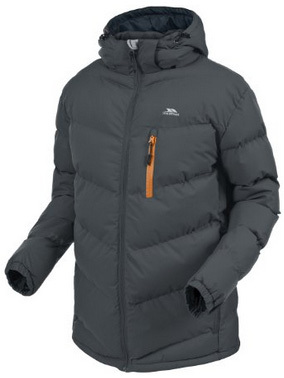 This is a padded jacket, with square quilting and two side pockets with water-repellent zippers. It is warmly lined on the inside and comes with a high collar, with chin guard. The hood is adjustable and detachable, to be put on only when needed. This is a water-repellent and windproof jacket, designed for functionality. It comes in the colors: Bubble gum, Sky blue, Navy tone, Pink rose, Navy blue and Blue.